Francis Moran & Associates > inmedia Public Relations > Do your PR people suffer from telephobia? 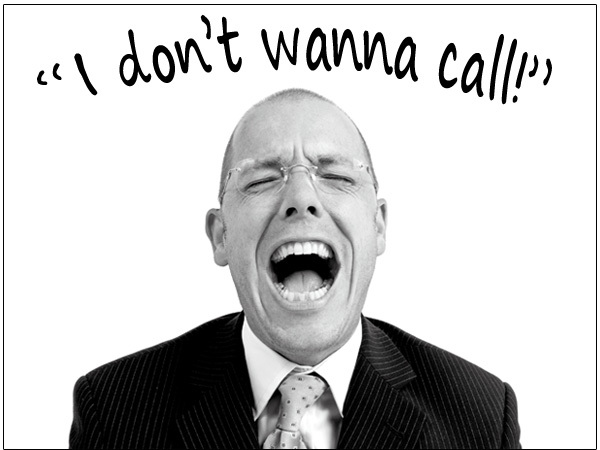 Do your PR people suffer from telephobia? Just when I think it’s a dead horse that has been well and thoroughly flogged on this blog, I have a conversation with someone who gives it a fresh gasp of life. It comes back to this: The real effort in a public relations launch begins when you hit “send” on the media release. And yet, here I was this very morning, having a conversation with a new client about an upcoming PR launch that illustrated, once again, that too many practitioners in the trade would have their clients believe otherwise. It was a typical touch base kind of phone call, in which I outlined the process of the standard Ramp Up and Roll Out media launch that is a fundamental part of what we do through our affiliated inmedia PR practice. This process begins with a researched media list, in which we put in all of the dogged hours required to identify who should have some measure of interest in the story we are preparing to pitch. We also qualify the appropriate editors and journalists to nag by virtue of the departments they work in, the beats they cover and the recent articles they have written. This is the effort that is required to ensure that when you hit “send” on the release, your emails should at least be somewhere on the target, if not the bulls eye. For, as we have said before, you cannot rely on media databases that are inevitably incomplete and out of date to build a respectable media list. But, that is still only a preliminary step in the launch plan. Media outlets are overwhelmed with dozens, if not hundreds, of different pitches each and every day. A single email, no matter how well aimed, is seldom enough. What comes next is following up with what we call a Tier 1 list – a select group of media outlets that should have the most interest in the story and the greatest potential to move the client’s business by virtue of their readership. Depending on the circumstances, this may include one, two or even three dozen outlets. The distribution of the media release is only a means to justify picking up the phone and making calls to the contacts on this list. And in those instances where a specific editor or journalist goes to great pains to ensure that email is the only means of contact, have up your sleeve a fresh hook or angle so that your followup email is more than just a cut and paste from the original media release. It was at that point in our discussion where the client made an observation based on his previous experiences as an entrepreneur, executive and marketing guy working with PR types on other launches. “The PR people I’ve worked with before were never all that eager to pick up the phone,” he said. I would suggest there are few who are. I know I need an extra dose of caffeine to help me get into the zone before engaging in a phone marathon. Despite the fact that you’re working with what you have laboured to ensure is a qualified list of targets, you are still very much in the same hot seat as a telemarketer making cold calls. But it’s that effort that gets the results. My client also asked me what relationships I have, if any, with the media I have identified as Tier 1 for his launch. It’s a fair question. And I gave him a fair answer: I have worked with some of these media before on behalf of other clients. Nonetheless, I emphasized that it is the strength of the story we are trying to tell that will win the day. Existing relationships are largely meaningless. Every client has a different story to tell. It may appeal to known media contacts, but it will also appeal to media with which even the most experienced PR practitioner has not worked with before. Given how often media outlets cut jobs and journalists take new ones, no media list stays current for long. There really is no way to avoid having to reach out and get in touch with new contacts for any public relations launch to yield adequate results.